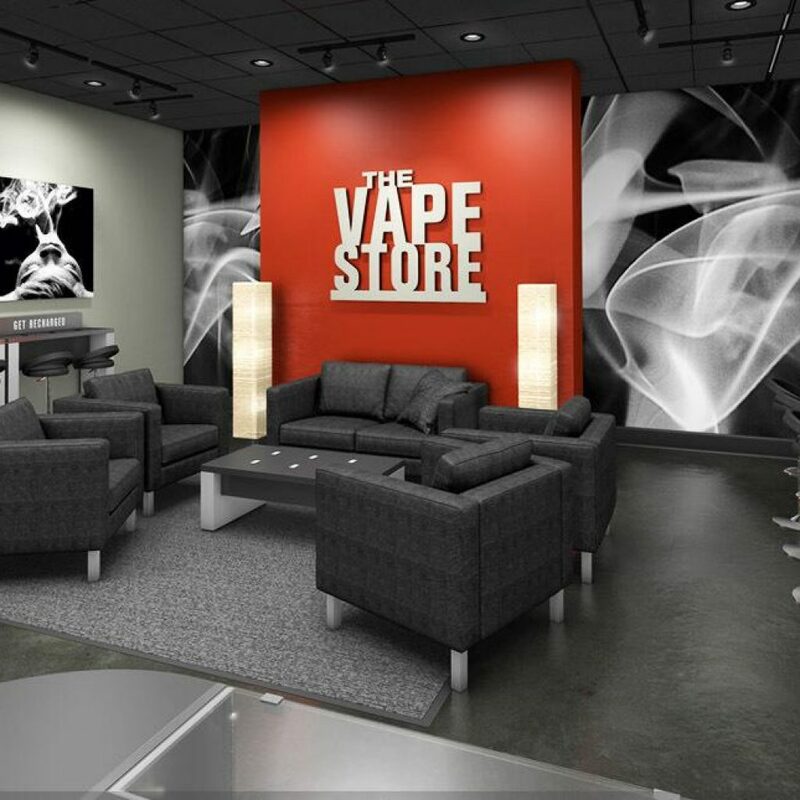 I have a Canada customer will come to our factory next Monday checked his vape shop furniture. 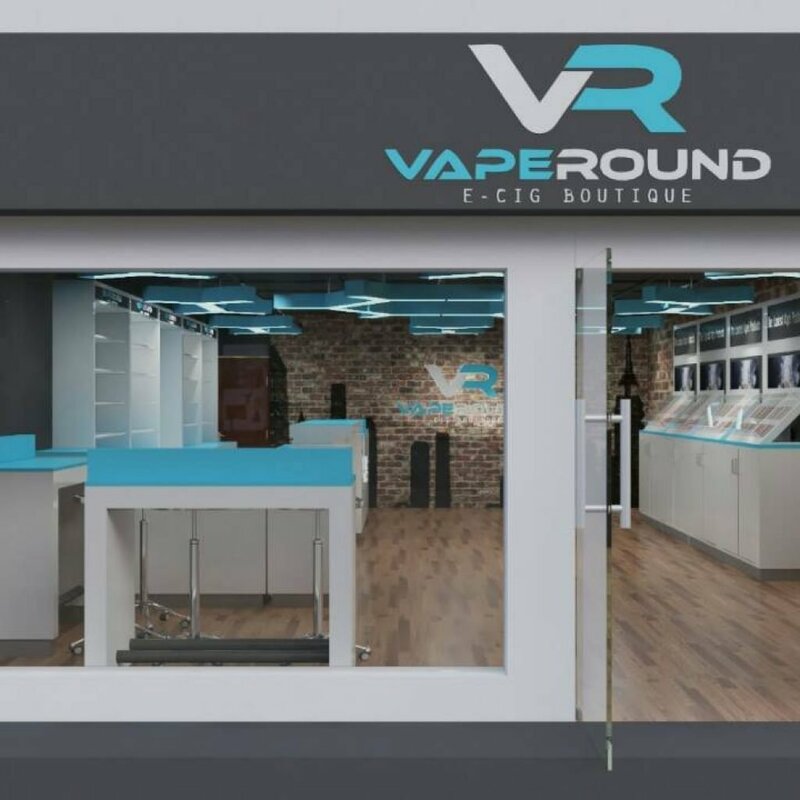 His brand “VAPOROUND” is a franchise E-cigarette brand in Canada, he already opened 20 vape stores. This year he ready open 8 new E-cigarette shops together! Now the furniture we did will be used for his vape stores. Because customer’ logo is light blue match white, to match his logo we used light blue match white as main color,match same color blue led lights, make the store looks very modern and nice. The design style match customer’ logo theme. 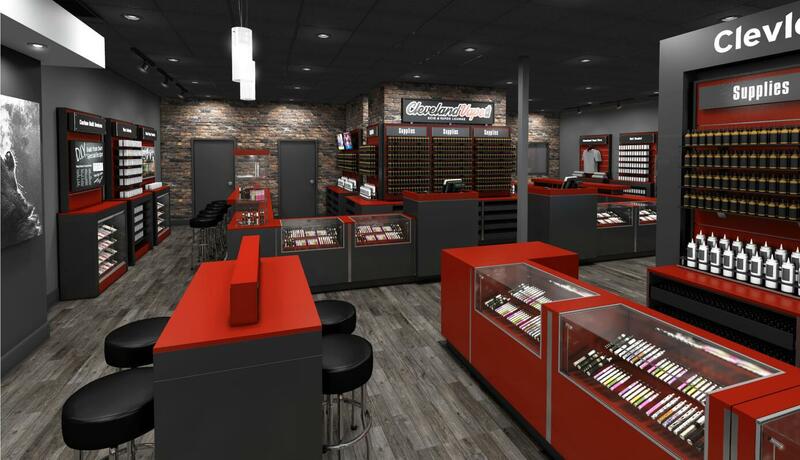 Do you like this vape store design? 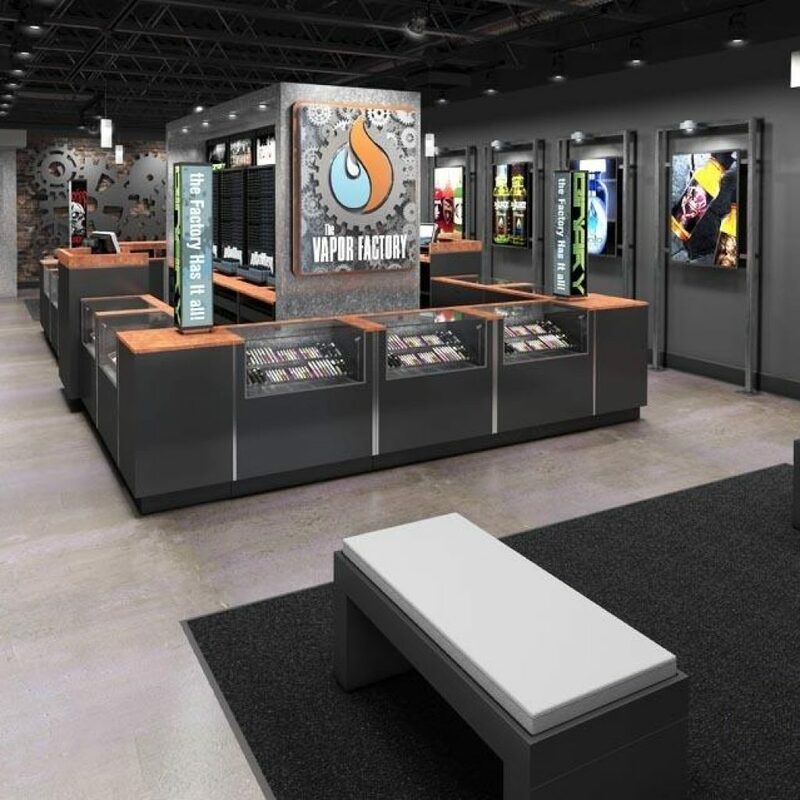 before you start your vape shop design, the first thing you need to think about is your shop theme. 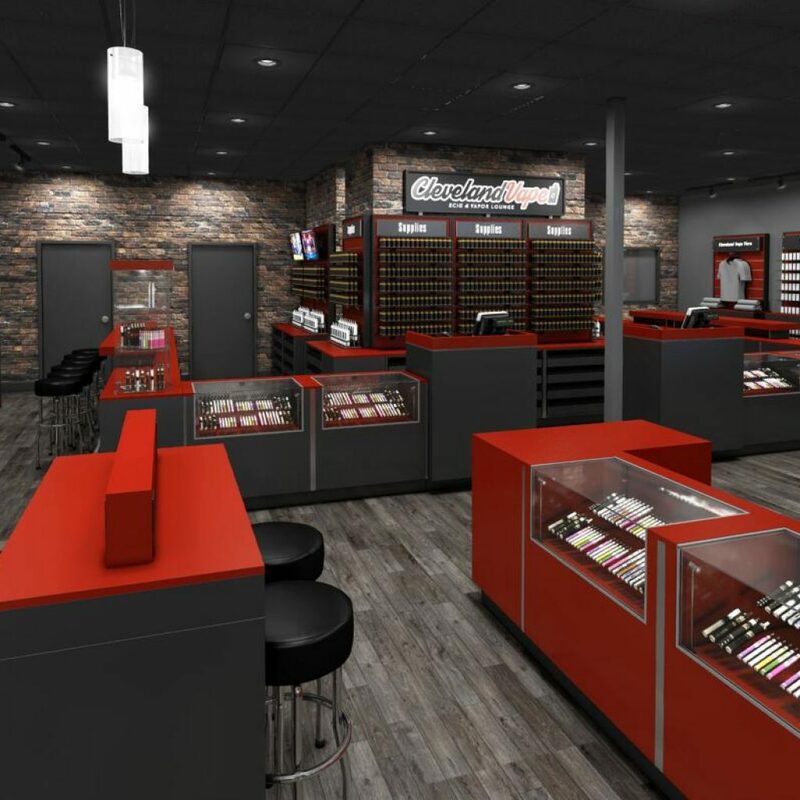 see the top two vape shop, the first one use red match black color,whole shop looks very high-end and modern. The second one logo is a Gear pattern with white letters, the whole theme is black with orange, so in shop, the design used black match orange. 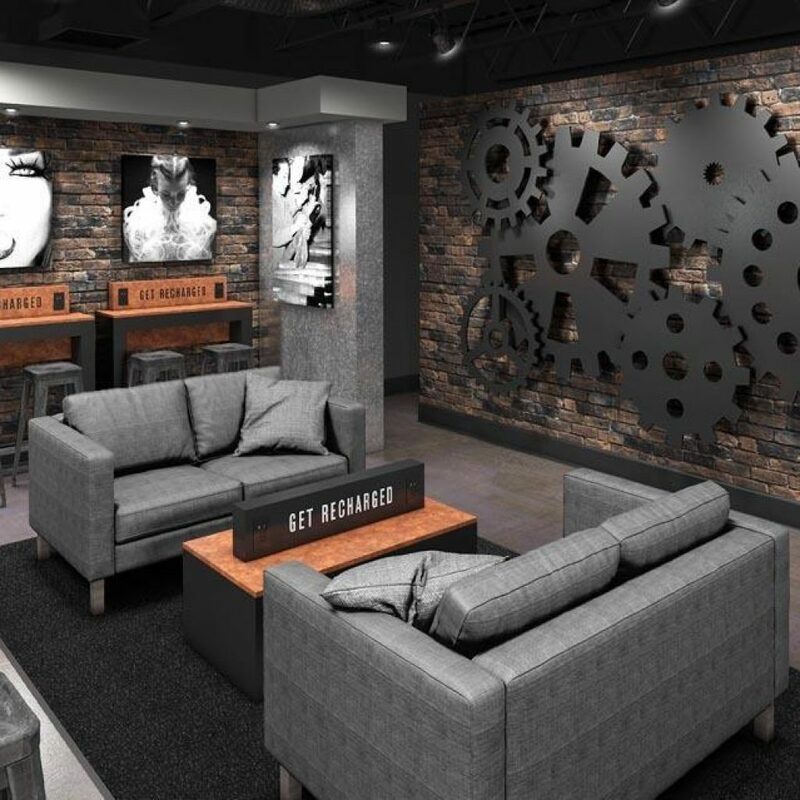 And use Gear as feature wall decoration, looks very creative and special. 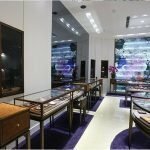 Feature wall plays an important role in shop design, a special and creative feature wall can help attract customers a lot. No matter your shop big or small, a reasonable layout is very important. It can make your shop more functional. In the middle of the shop, as usually will be sales counter with display showcase. This is the main display and sale area. 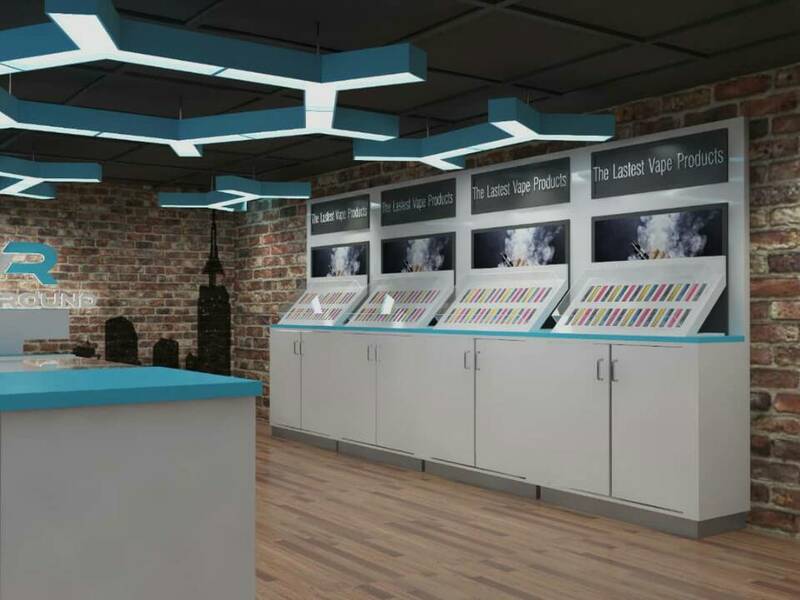 The left side and right side will be some wall displays used to put E-cigarettes and E-juice for people to select. A bar counter try area also necessary. sitting area with sofa and table are necessary. Sometimes people will want sit to chat or discuss. Comfortable sitting area will make them stay longer and add consumption. 5. Recharge area for E-cigarette is indispensable. 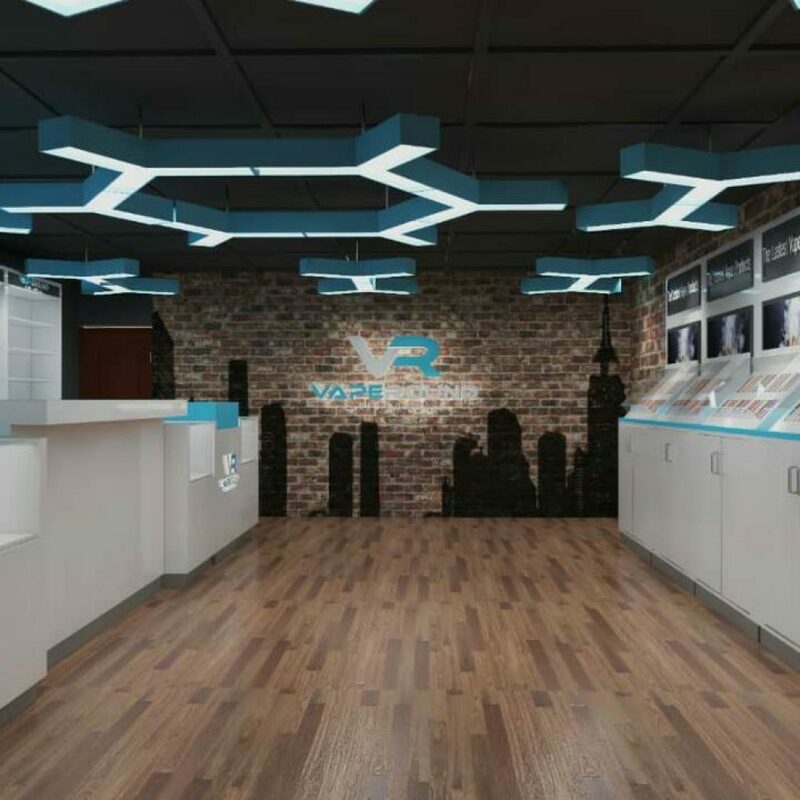 Hope above suggestions can help you in vape shop design. 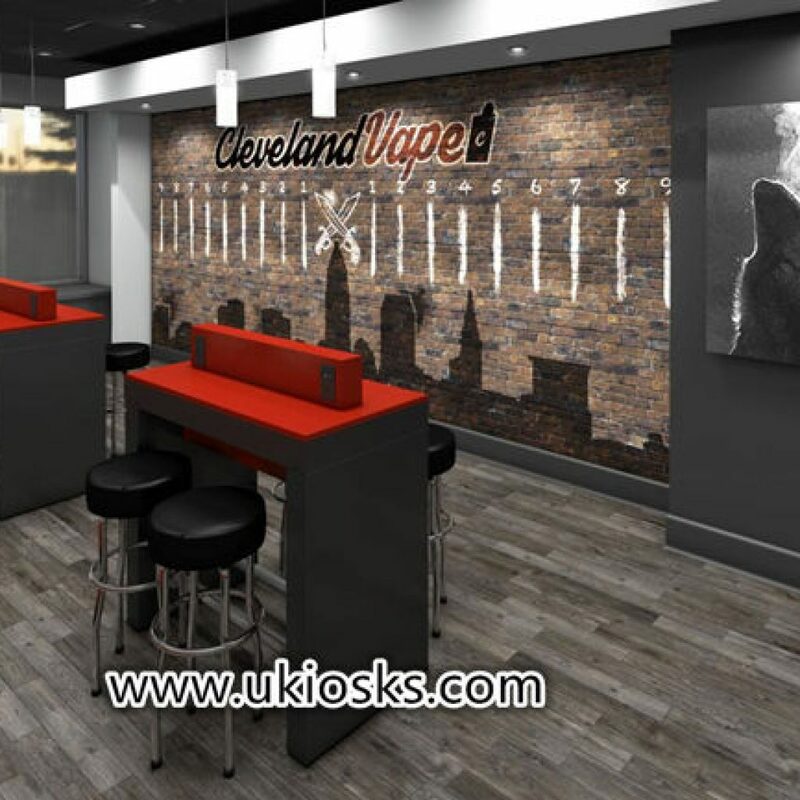 If you are interested in do a vape store, we can help you design it. Welcome to inquiry!